This evening we received an email with some very unfortunate news regarding the Craft Lager Festival. Due to the flood in Manitou, the festival’s equipment was at a complete loss and the festival will not be held this Saturday. Organizers are looking into options, and may be able to have something for Sunday in another location. If not, please stay tuned for word on a new date. Check out the Craft Lager Fest on FB. We send our thoughts to the organizers and to anyone in Manitou who may have been impacted by this flood. Hello Friends, Fans, Brewers, Volunteers, Vendors & Press. I have received word from Mayor Snyder of Manitou Springs that Memorial park and our equipment is a complete loss due to the flood. 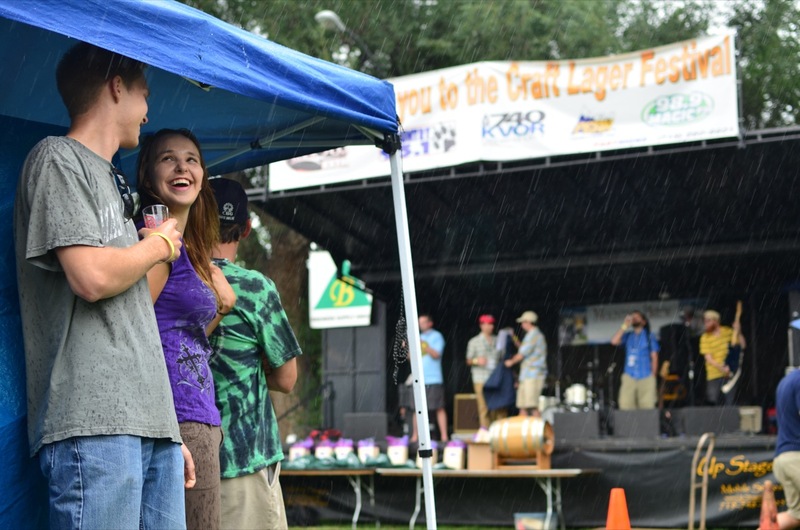 Congruent with his announcement on the 10:00pm News, the Craft Lager & Small Batch Festival will NOT be held this Saturday in Memorial Park, Manitou Springs. The park has been closed. We are currently working to develop a contingency Plan. We are looking at several options including holding the festival Sunday in a Colorado Springs Location to be determined. If that is unworkable we will announce a new date in the next few days for the festival. We understand that this may not be workable for everyone and ask you to work with us as we work through this difficult emergeancy situation. Please remember many have materially been impacted and are suffering greatly at this moment. I want to thank Mayor Snyder for thinking of us, when he has so much else pressing on his plate. Thank you to the volunteers & vendors who helped us set up in the rain today in hopes of a great festival tomorrow. We love bringing you the experience that is unique to the Craft Lager & Small Batch Festival and are working through the night & all day tomorrow to give you the updated information. Our hearts go out to the families who were more materially impacted by this great flood and we hope they can soon return to a normal life. If you are a volunteer, brewer or vendor: Please check your email, facebook and/ or call in so we can coordinate with you in this fluid planning moment.